When Sergeant Forrester makes it back home, he finds a war-zone opening in the America he once knew . . . When Sally Ann Jones lost her husband in Afghanistan, it destroyed her. But now with her son, she faces the same enemy. Discover how Sally Ann deals with loss but never a second time. After Afghanistan, will Emily ever see the real America she once knew? When Commander Fletcher awakes, he has no need for dog tags although he’s still in the military. Who is in charge? A Marine – a mother – a soldier – a pilot – all meet the challenge of an America unraveling before their eyes. This four short-story series reveals the global goals of America’s enemies, both foreign and domestic. And each central character takes steps to stop the destruction of the safe America they once knew. Join Captain Forrester and Sally Ann. Join the female Army Sergeant or Commander Fletcher – see the future of America. Is it too late? Want to read the other short stories? 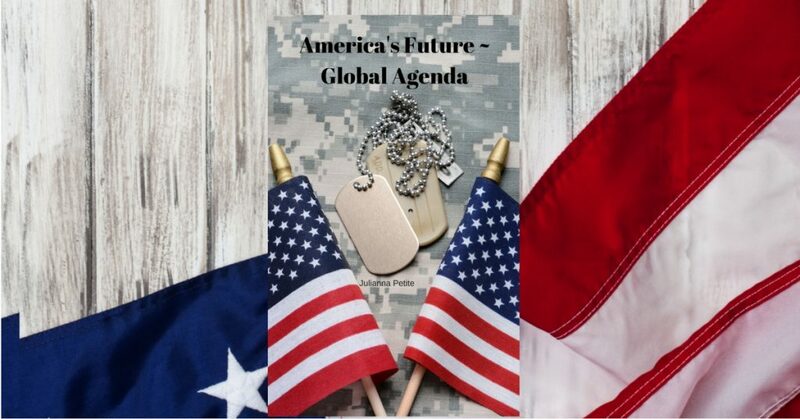 Get the free eBook - AMERICA'S FUTURE ~ GLOBAL AGENDA.